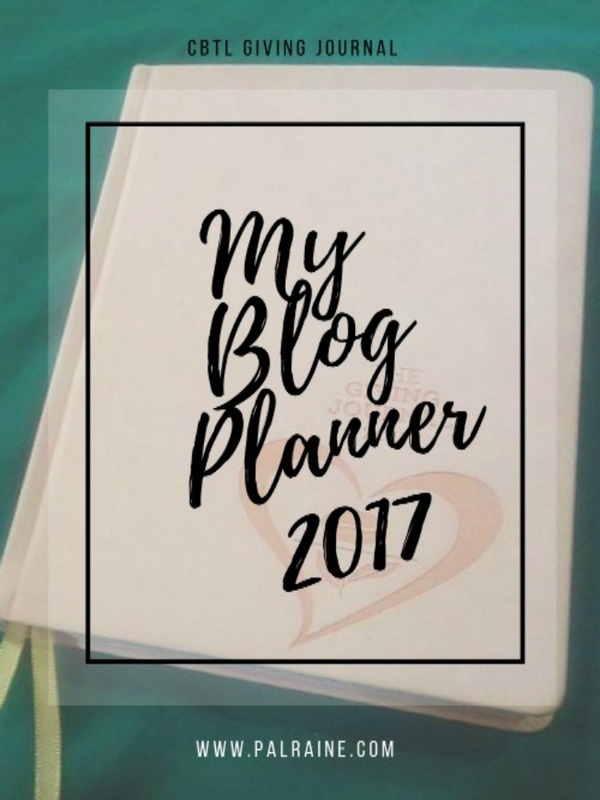 Every year since 2014 I see to it that I have a planner for my blog to write my yearly activities in blogging. In blogging, there are things that are totally crazy if you don't keep ideas, content, and checking of social media channeling. It's time consuming if you don't organize your plan. When I started blogging I have different ways in scheduling my content. I use online resources such as Google calendar, tabs notes, notebooks and other personal stuff. Well, I guess a life of a blogger depends on what agenda he/she have either in work, school..it doesn't matter where you are as long as you have to put your ideas somewhere. 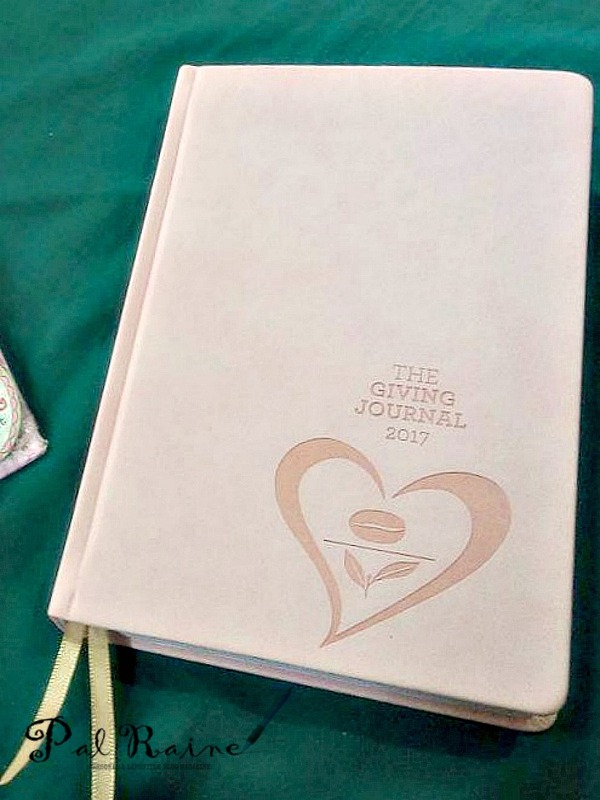 For this year, I personally use the The Coffee Bean & Tea Leaf's Giving Journal 2017 given to me during the media launched of the CBTL Giving Journal Advocacy. It's a perfect blog planner, more than just a planner - it's a journal! 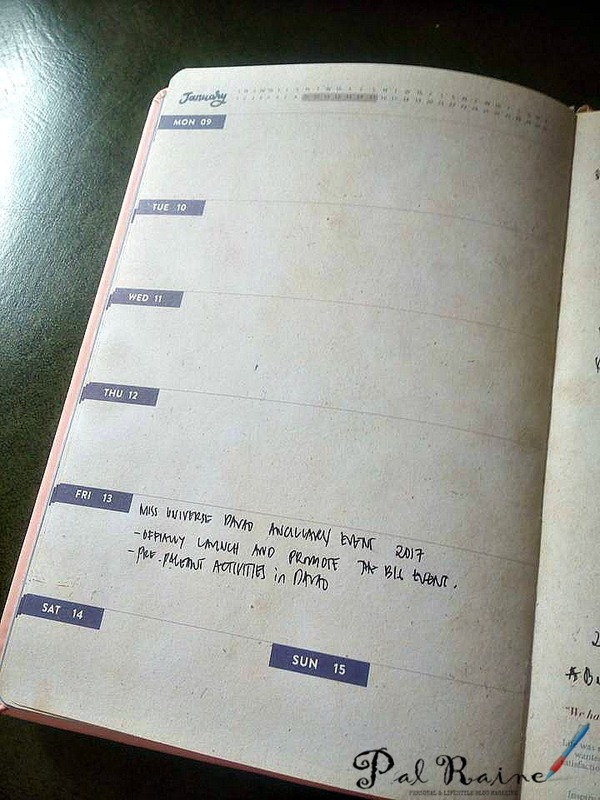 A PLANNER is a daily planner, or agenda, or whatever (there is no standard definition) this is where you put all your scheduled appointments, meetup, etc...while a JOURNAL is where you write your thoughts, experiences, feelings. 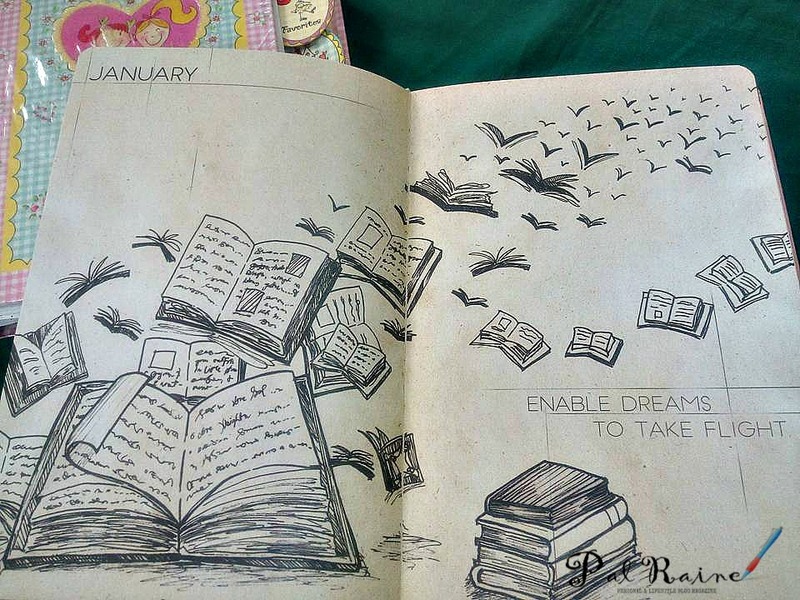 And I love to combine this kind of an idea two into one book, though the ideas are distinct. So thrilled to have this journal to use for 2017. 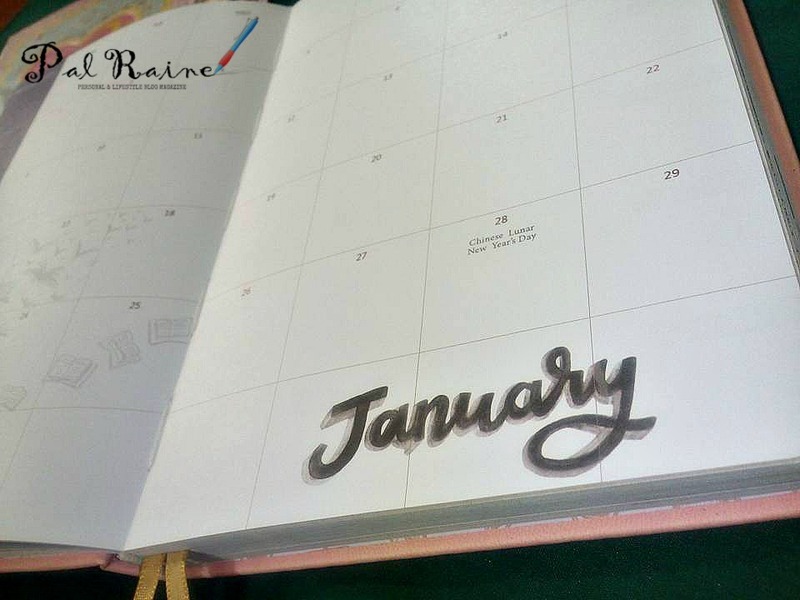 It's pretty blank right now, I haven't written anything so far for the month of January but to get the gist of how it actually looks when you are starting writing -- you will see a ton of activities scrawled all over the pages. This is where I keep track of my blog meetings, event invites & sponsored posts. This is where I put my plan blog posts(topic/idea), write down which posts to go live on which day. Scheduled time for social media posting - Instagram, Twitter & Facebook. It's more about my bills & payments. 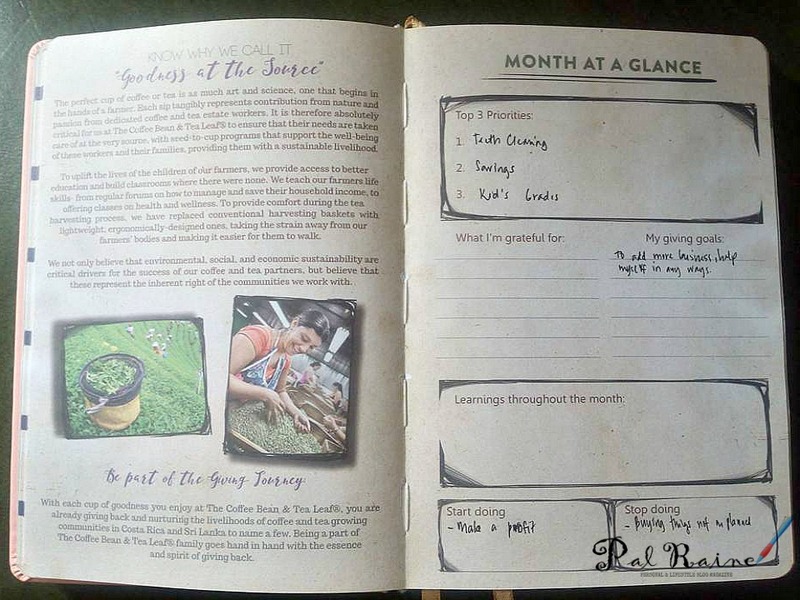 A page wherein you put the top priorities you have for the month, your gratitude and goals, the dos and dont's and your learnings throughout the month. Getting a good schedule is difficult, it puts me into a bit of a rigid box when scheduling a post. It's hard sometimes that it would confuse my planning scheme. 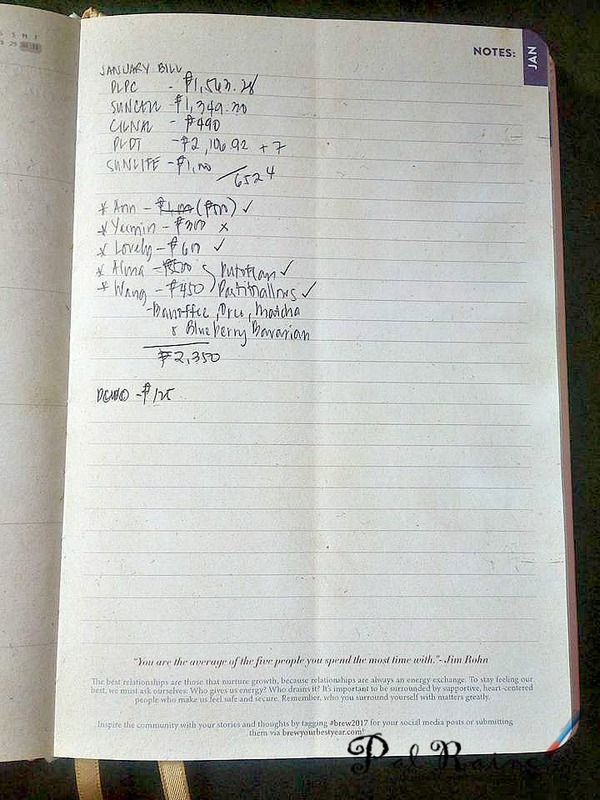 This journal will helps me stay on track so that I could have a nice post ideas throughout the week and I can think what to write before posting it here on my blog site.